There’s so much comfort food that winter brings in, that one is spoilt for choice. Soups, stews, noodles, rice, rustled up with lots of fresh veggies. The sabji mandis (vegetable markets) are filled to the brim with fresh produce. One would get every shade of green and every year I discover some or the other vegetable that has not yet seen the light of my kitchen. 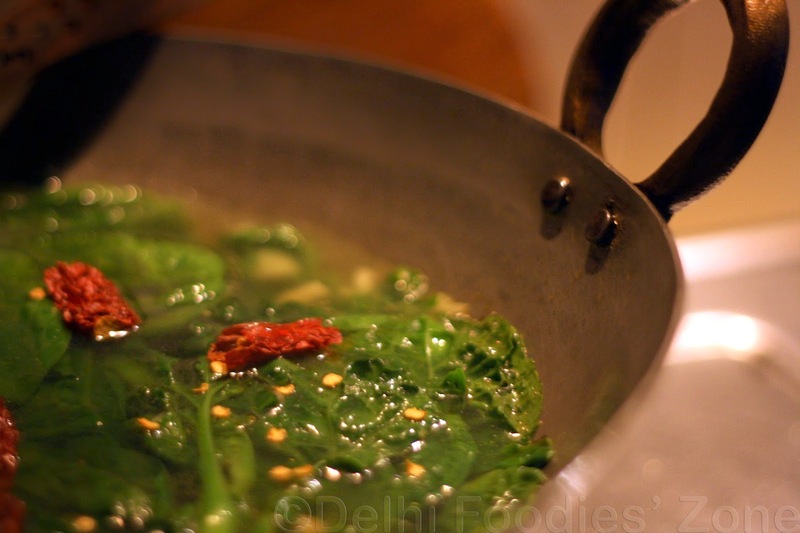 While I enjoy what is left of Delhi winters, I’d like to share this simple recipe of Kashmiri staple Haak saag, cooked using a few basic rules but not any Kashmiri recipe in particular. 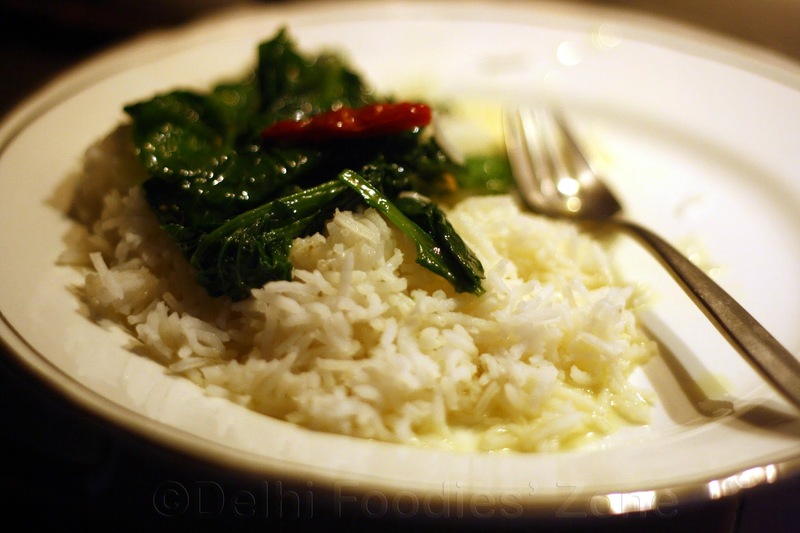 Haak goes best with steamed rice and believe me you, this would be the best kind of saag you’d have ever tasted. For 1 medium bunch of Haak: Wash the leaves well. Look out for worms. I put them in salted water for 30 mins, rinse and then use. Snip off the ends and use the leaves as well as the tender stem. Heat mustard oil in a wok. Add 1 or 2 whole red chillies, depending on the quantity of your haak. Chop a fat garlic clove and add. Immediately thereafter, add 1.5 cups of water and let it simmer. Now add the whole Haak leaves and salt to taste. Let it boil for 7 to 10 minutes or till the leaves wilt a little. Enjoy Haak hot off the wok with steamed rice. Bliss! Use whole leaves and some stem. Keep spices minimal to bring out the flavour of the haak well. Ideally, do not reheat and make it 15 mins prior to serving. This is exactly how I cook radish greens! 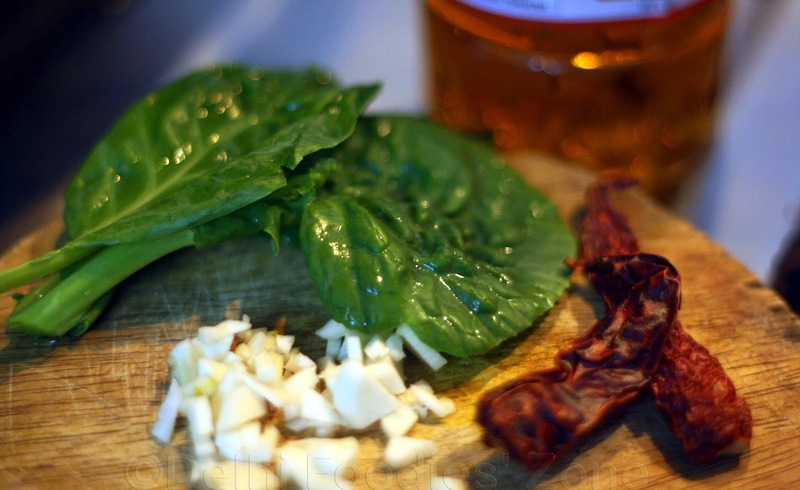 My haak recipe is similar, with one ingredient less -the garlic! Love, love it simply with some steamed rice and dahi, just like you do! No veri masala in haak ( you may add it to monjji-haak though), and baking soda is optional! where can we get this haak ssag raw in south delhi?